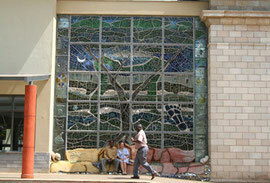 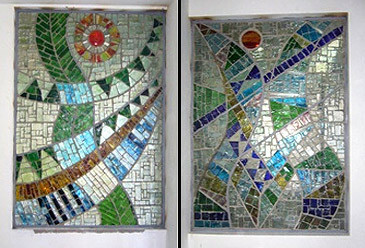 Carboon footprint "4x5 m" recycled glass blocks with fossils, masks and frame of slumped cultural tiles, gourds, beads, mixed media. 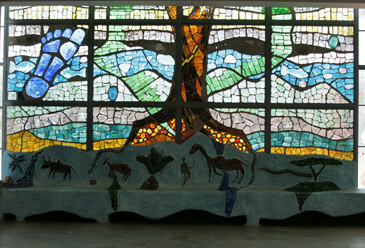 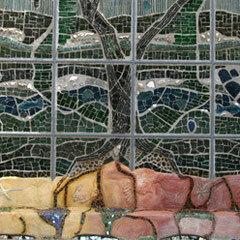 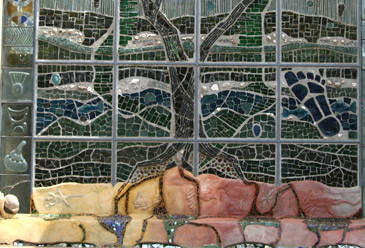 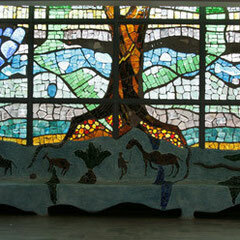 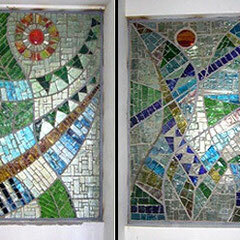 An organic bench outside and inside with cave drawings and mosaic spills, fills the base of the large wall. 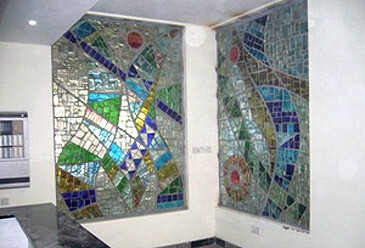 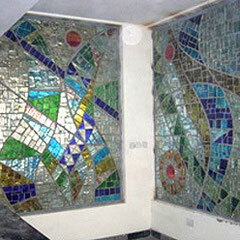 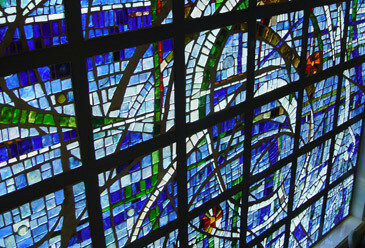 3 large Dalle de Verre Walls in the reception.